Downtown Damascus during Autumn. Photo credited to Metayel. The earliest records of Damascus date back to the eighteenth century, with famed frontiersman Daniel Boone trailblazing a path from Tennessee into Virginia, intent on traveling to Kentucky. One of the men who travelled on this path was Henry A. Mock, Jr., who founded a community with his family in southwestern Virginia in 1821. Naming the community Mock's Mill, the family made a living by working the land and building mills powered by the local Laurel Creek. In 1886, former Confederate general John Daniel Imboden purchased the town from Mock, renaming the community Damascus after the Syrian city, intending to develop the surrounding land. Despite the purchase, the Mock family continued to live in the newly-renamed town. Currently, Eleanor Mock Dunbar Grasselli, a descendant of Henry A. Mock, Jr., is the town historian. John D. Imboden was born on February 16, 1823 near Staunton in Augusta County, Virginia. 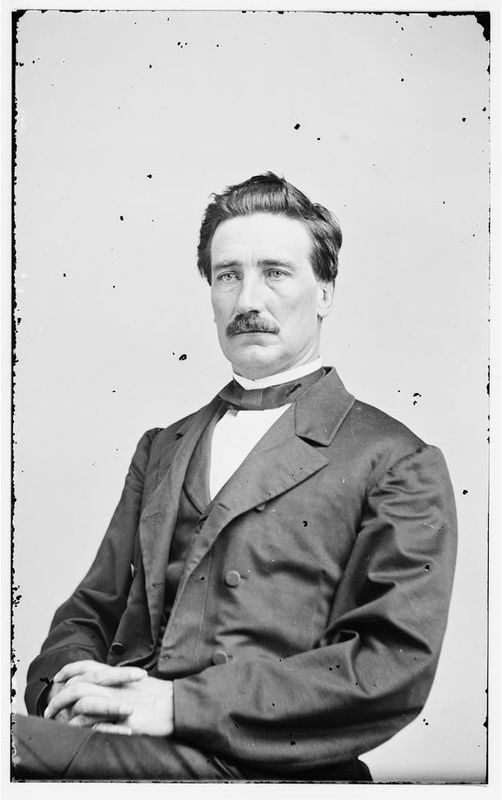 After attending Washington College between 1842-43, Imboden was allowed to read and practice law before going into a career in politics where he served two years in the state's legislature. A southerner at heart, Imboden advocated for Virginia's secession from the Union and when the Civil War broke out in 1861, Imboden served in the Confederate army as a captain for the Staunton Artillery force. Participating in operations such as the occupation of Harpers Ferry and the First Battle of Bull Run, Imboden fought alongside famous generals Stonewall Jackson and Robert E. Lee, rising through the ranks until his promotion to brigadier general in January of 1863. In the Fall of 1864, Imboden contracted typhoid and was subsequently hospitalized for several weeks. Upon recovering, Imboden was relieved of command and transferred to work at a POW camp in Aiken, South Carolina where he remained until the war's conclusion. 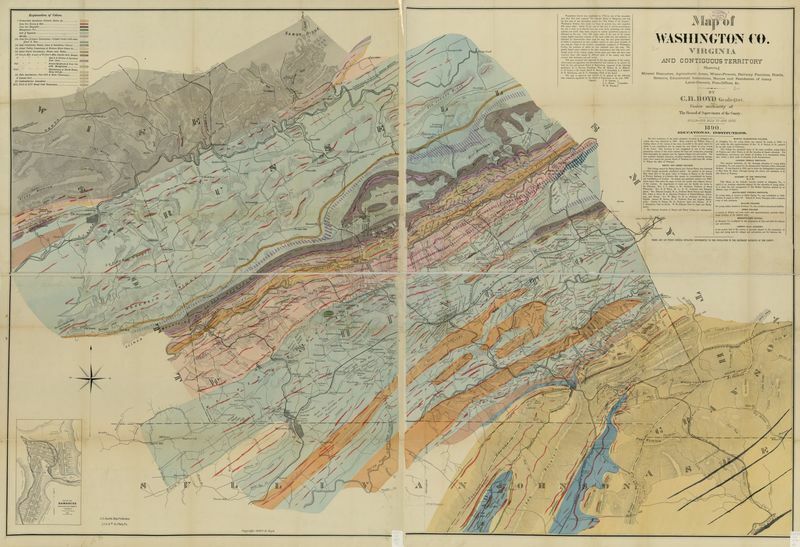 Washington County mineral resource map, c.1890. After the war, Imboden wrote about the development of agricultural land in 1867 in the newspaper The Farmer, advising farmers to be on the lookout for minerals and other natural resources that could be used to develop the area. Imboden's main concern was the acquisition of iron ore deposits, which he believed could be found near the ground's surface. By 1886, Imboden purchased Mock's Mill, bestowing the community with its current name. Remaining in the town until his death in 1895, Imboden continuously wrote about the importance of obtaining resources that can be used to develop the town and outlying lands in Washington County. Though he never got a chance to see it, one of the town's industrial accomplishments was the completion of a railroad connecting Abingdon to Damascus in 1901. The town continued to see development in the late nineteenth century until the 1920s. During that time, the timber industry boomed and with abundant amounts of timber, Damascus saw great economic growth. By 1912, the area around Damascus in Washington County produced more timber than all of Pennsylvania at the time. After the decision to construct the Appalachian Trail, Damascus saw further economic development with the trail going through the town for the hikers, providing them with various accommodations. Traffic into the town fluctuated, but it was not until the 1990s when Damascus experienced an influx of visitors due to the rise of tourism. With access to shops and restaurants as well as an assortment of recreational activities, Damascus has become a popular attraction for vacationers and hikers. 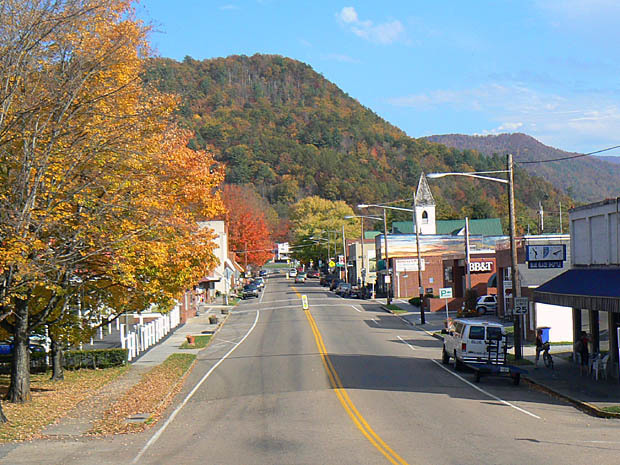 Today, Damascus' friendly atmosphere and other available scenic trails have earned it the nicknames "Friendliest Town on the Trail" and "Trail Town, USA" respectively.